Resume Workshop with Lynn Paige April 23, 2014 @ The Library! 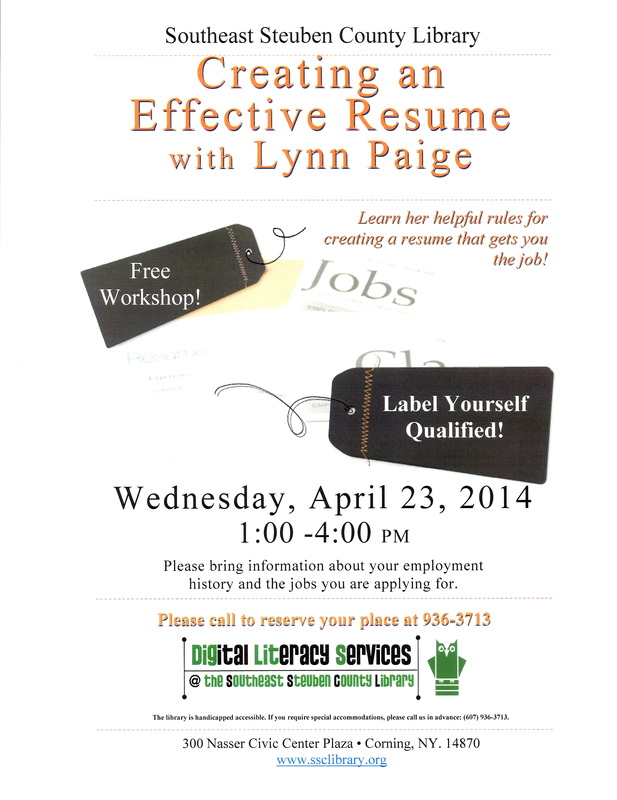 by Linda Reimer.In Uncategorized.Leave a Comment on Resume Workshop with Lynn Paige April 23, 2014 @ The Library! 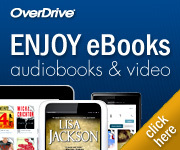 Hi everyone, we’ve got exciting news for residents of the Corning area region of library land! Lynn Paige, the CSS Workforce wizard of resume creation workshops, is going to be presenting a new series of Creating an Effective Resume Workshops at the Southeast Steuben County! This new monthly series, funded by a Community Grant the library received from The Southern Tier Library System, will run from April through November. And although we are still in the midst of finalizing the May – November workshop dates – the April date has been set! The first Creating an Effective Resume with Lynn Paige workshop of 2014 will be held at the library on Wednesday, April 23, 2014 from 1:00 to 4:00 p.m.
And Lynn really knows her stuff – she knows just the items you should include in a successful resume and which items you should leave out. So if you’re a job seeker or know someone who is looking for a job – this is a great program to attend! And if you have any questions about the workshop please don’t hesitate to contact us!